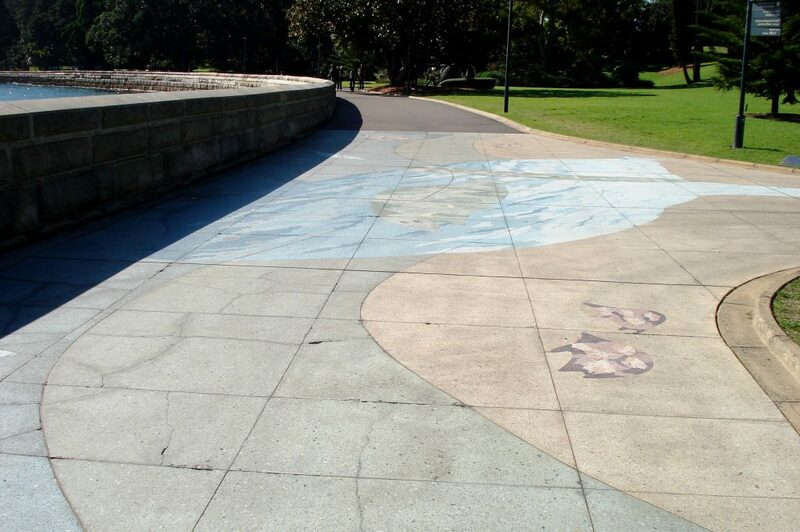 On the foreshore promenade in Sydney’s Royal Botanic Gardens, between the gardens and the sea, lies Brenda L Croft’s Wuganmagulya (Farm Cove). 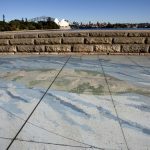 This large terrazzo work is embedded into the paving, crafted in muted colours that reflect the natural elements of the environment around it. 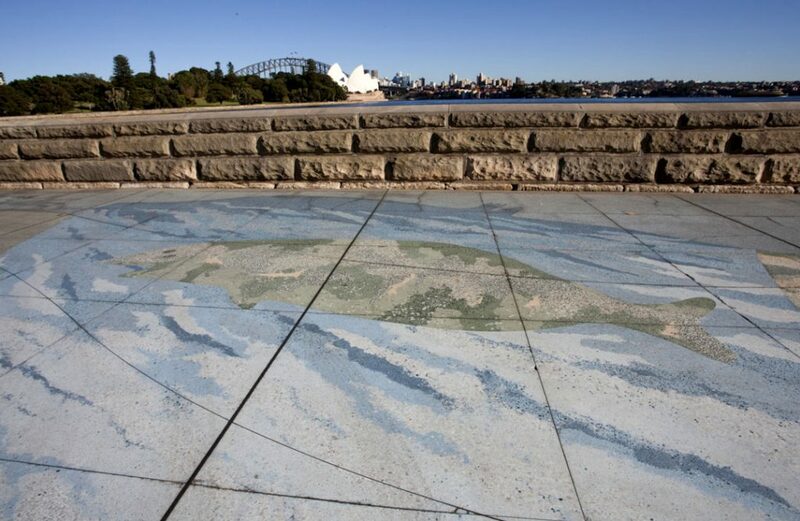 This artwork honours the presence and importance of Indigenous people in this part of Australia, both throughout history and today. 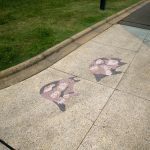 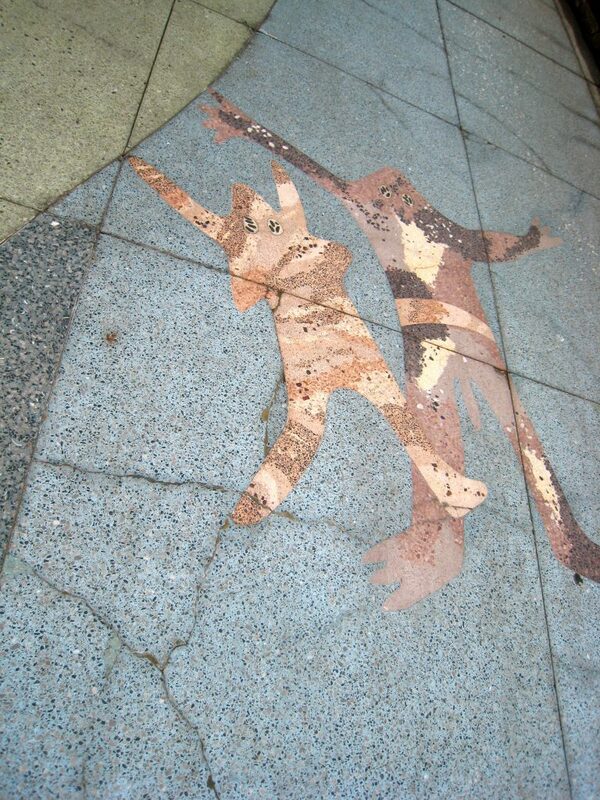 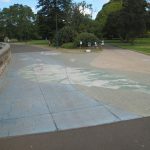 In two sections of the pathway, Croft has used terrazzo and stained concrete to depict figures from Sydney Aboriginal rock carvings – some of which no longer exist. 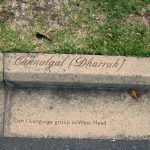 Along the pathway kerb, she has etched, in red, the names of women and men, places, animals, tools and rituals from the many clans and language groups of Indigenous people in the Sydney area. 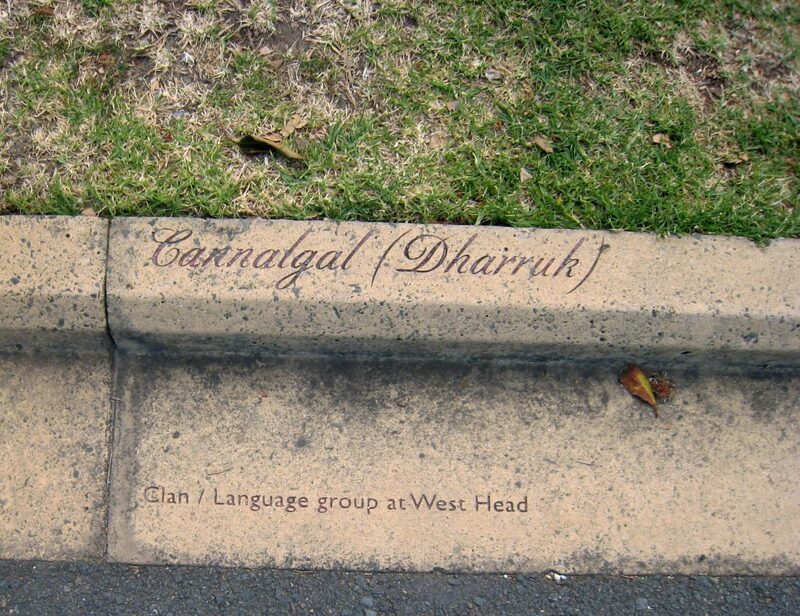 Wuganmagulya (Farm Cove) pays homage to the Yura (original clans of the site) and to the Indigenous clans who travelled great distances to attend ceremonies at Sydney Cove. 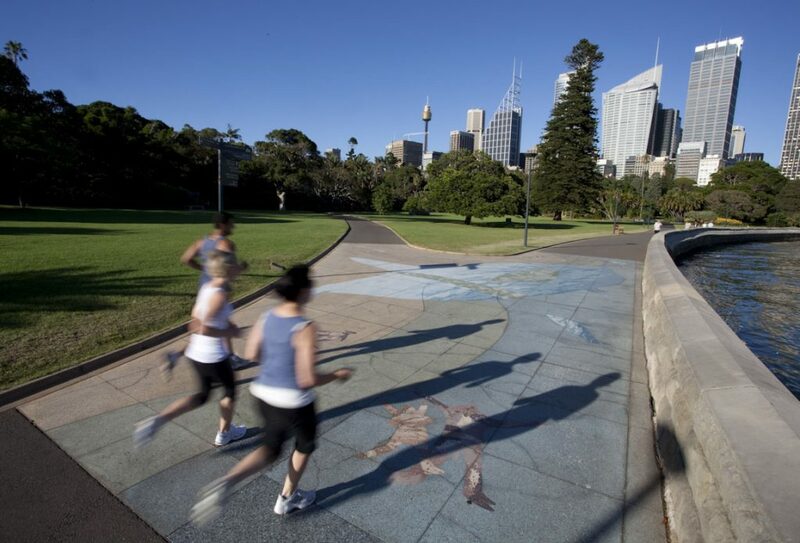 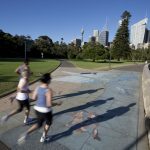 It also celebrates the survival of Indigenous culture and acknowledges more recent Indigenous history – such as the Long March of Peace, Justice and Hope through the city, the Domain and the Royal Botanic Gardens, which was held in 1988 in protest of the Bicentennial celebrations. 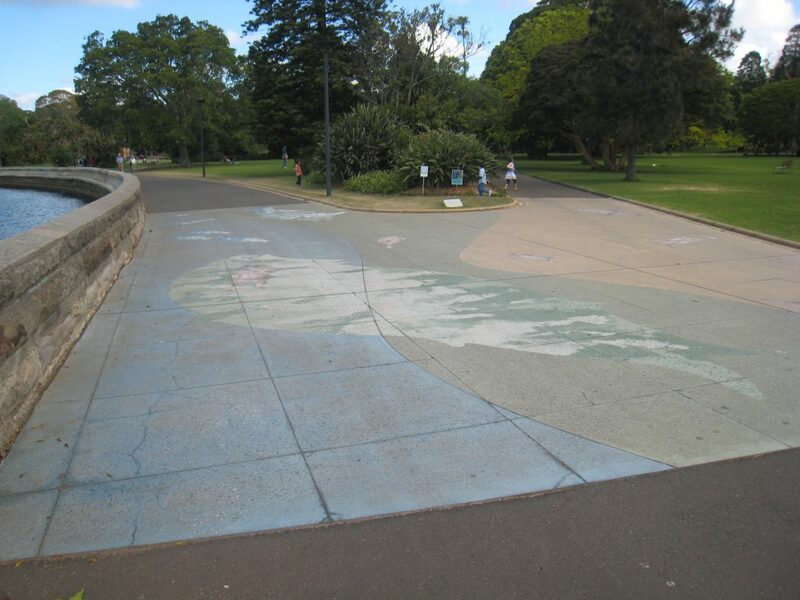 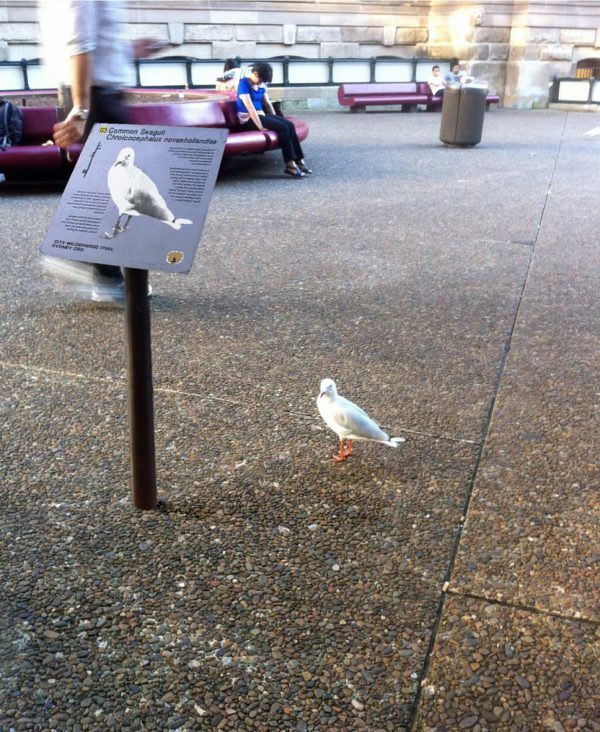 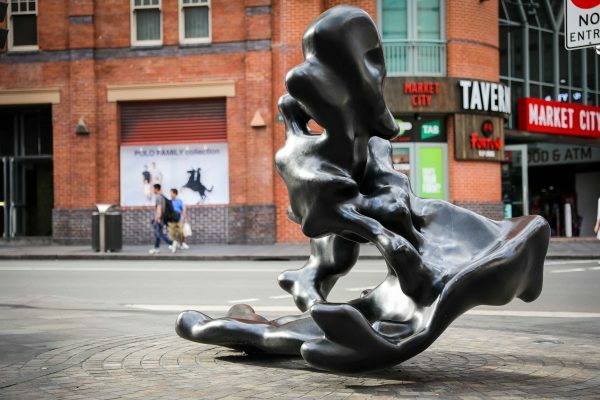 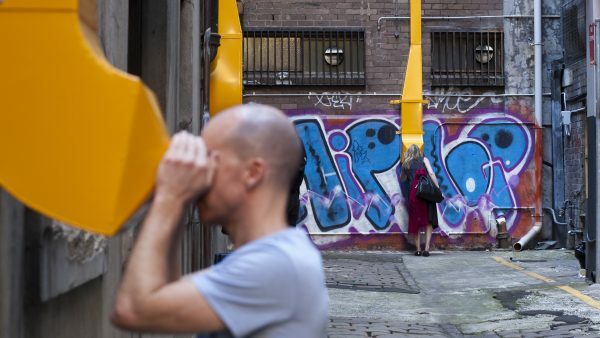 Wuganmagulya (Farm Cove) was installed in 2000, as part of the Sydney Sculpture Walk program. 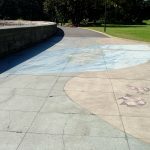 The artist, a member of the Gurundji nation, consulted with the Culture Heritage Officer from the Metropolitan Aboriginal Land Council to make sure that correct cultural protocols were followed in creating and installing the work. 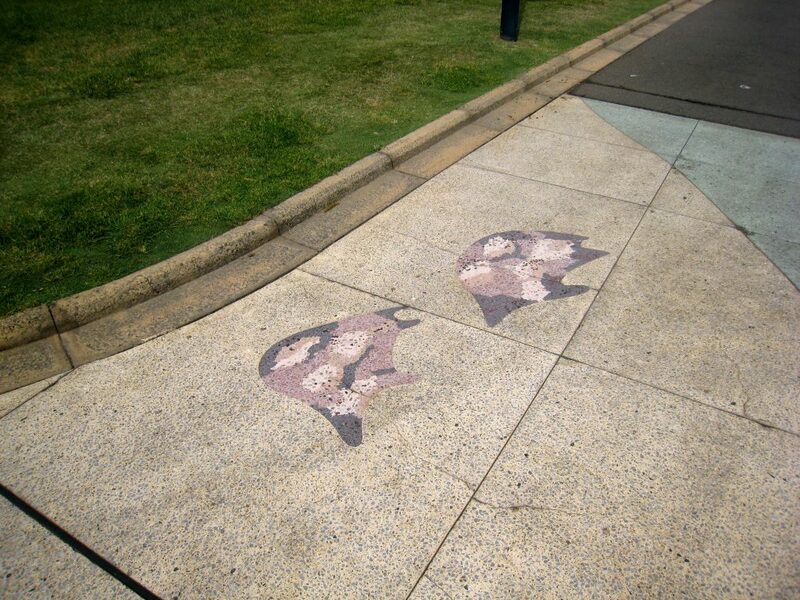 Brenda L. Croft was born in Perth and is of the Gurindji people. 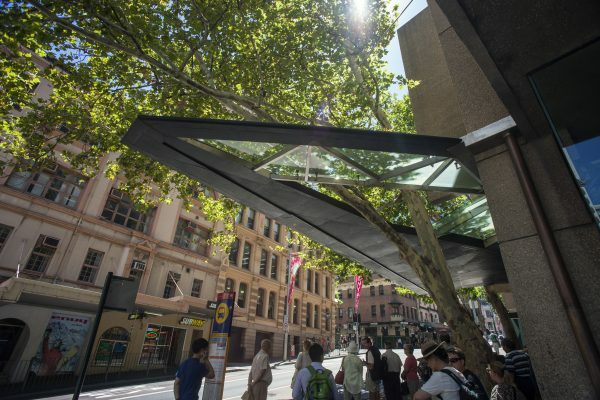 She studied at the Sydney College of Arts, and first exhibited her work in the NADOC 1986 Exhibition of Aboriginal and Islander Photographers at the Aboriginal Artists Gallery in Sydney. 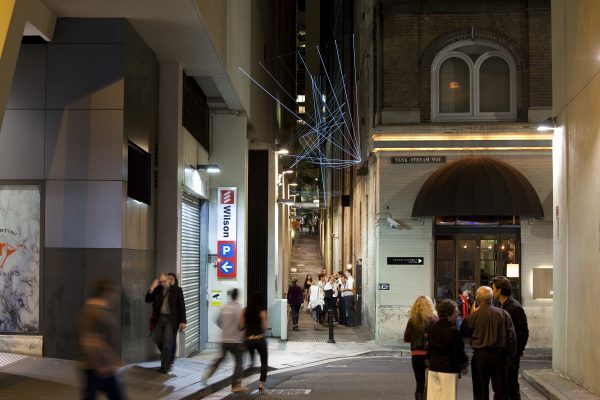 Since then she has participated in numerous exhibitions across Australia as well as in Europe, North America and South Africa, and has won many accolades, including the 1998 Indigenous Arts Fellowship from the NSW Ministry for the Arts. 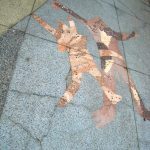 Croft also publishes widely on the arts, and is a freelance artist, curator, writer and lecturer.